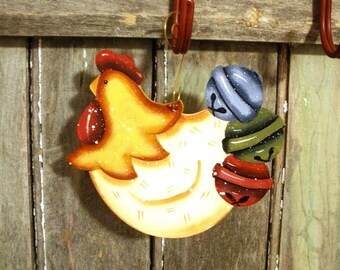 Cute picture on chickens in the coop, laying an egg. 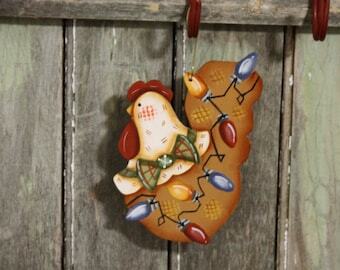 Great for a chicken lover. 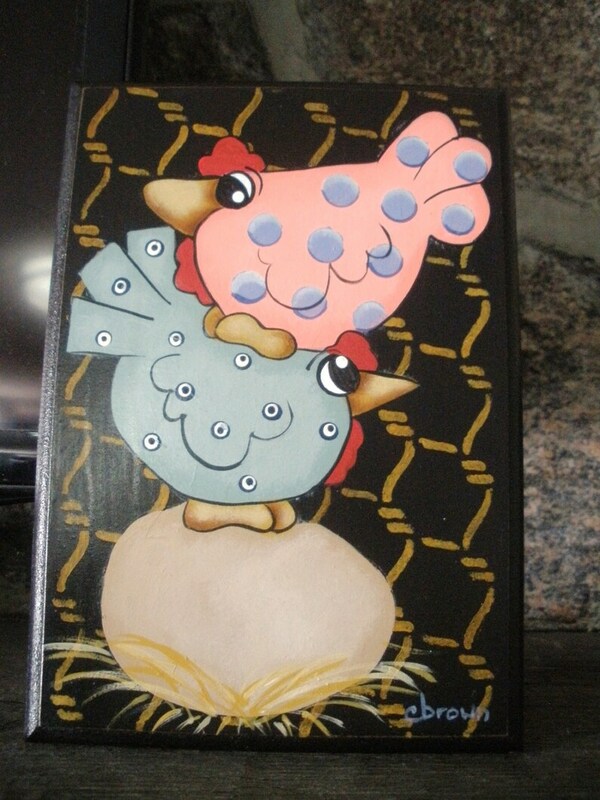 I have another painting of these chickens in my kitchen.